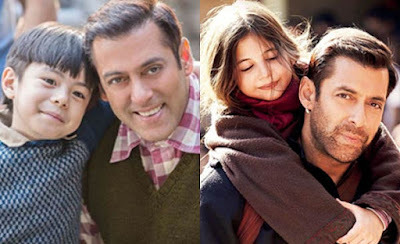 Home > Bollywood > New Munni Matin Rey Tangu: Meet Salman Khan's Cute Co-star From Tubelight! New Munni Matin Rey Tangu: Meet Salman Khan's Cute Co-star From Tubelight! Bollywood BIG DADDY Salman Khan's Tubelight (upcoming Movie) has been creating headlines ever since its announcement was made. And to make sure his fans are aware of the whole thing that’s happening on the sets, Salman has been sending out updates on his social media accounts. And if his latest post is anything to go by, he has now declared the name of his co-star from most awaited Movie Tubelight. Yes, the cute actor is Matin Rey Tangu. Salman took to Twitter to share two photos of his little co-star. Tubelight is Kabir’s Khan’s 3rd project with Salman, and it revolves around an Indian man who falls in love with a Chinese girl. Chinese actress Zhu Zhu would be seen opposite Khan in the film releasing next year.